Unique collaboration entails the development of new technologies, music and tech advocacy. Intel Corporation’s Director of Creative Innovation will.i.am (center) discusses future technologies with Genevieve Bell, Intel Fellow and director of Interaction & Experience Research, and Justin Rattner, Intel chief technology officer, at Intel TechFest Thursday in Portland, Ore. will.i.am was among 1,000 top senior technologists, Intel Fellows and experts from 22 countries who convened during a private, 3-day event at the Oregon Convention Center to share ideas and gain cross-discipline education. 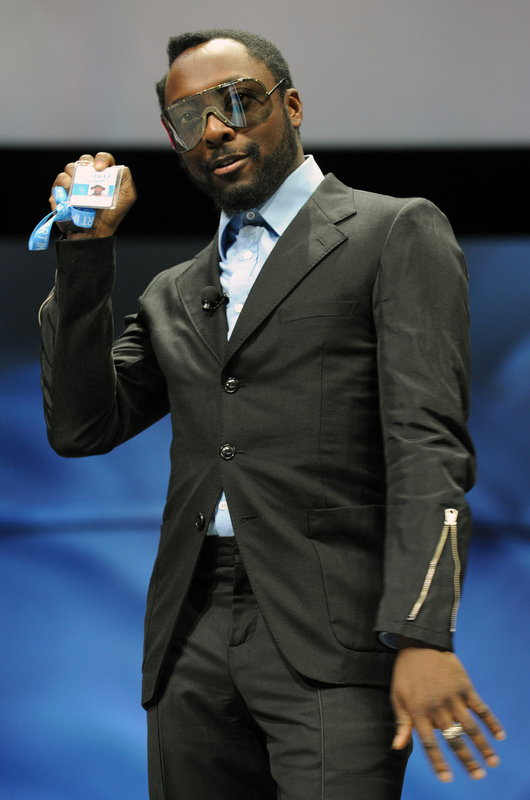 will.i.am was appointed Intel’s director of creative innovation in January. The relationship ties in with Intel’s “compute continuum” vision, in which more and more devices will compute and connect to the Internet, and the company’s “visual life” initiative that explores how visual experiences such as photos, videos and movies are redefining the relationship consumers have with laptops, smart phones, tablets and other devices. 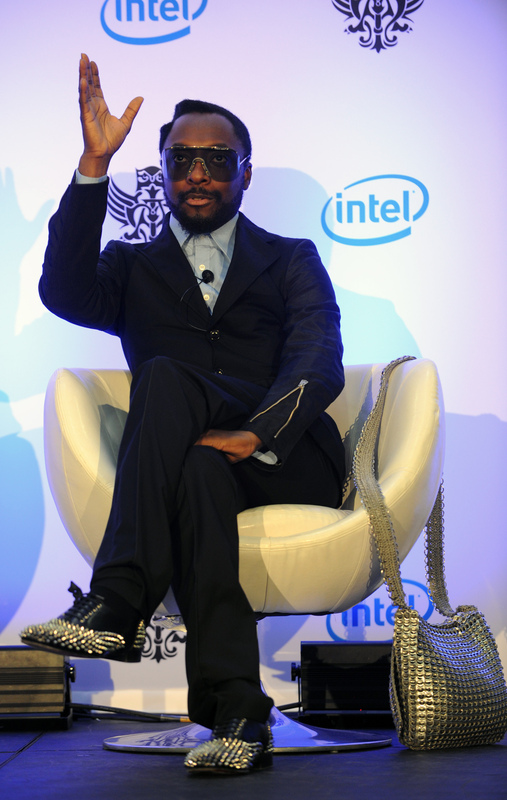 In his unique role, will.i.am will collaborate with Intel on many creative and technology endeavors across the “compute continuum” that may include such devices as laptops, smart phones and tablets. 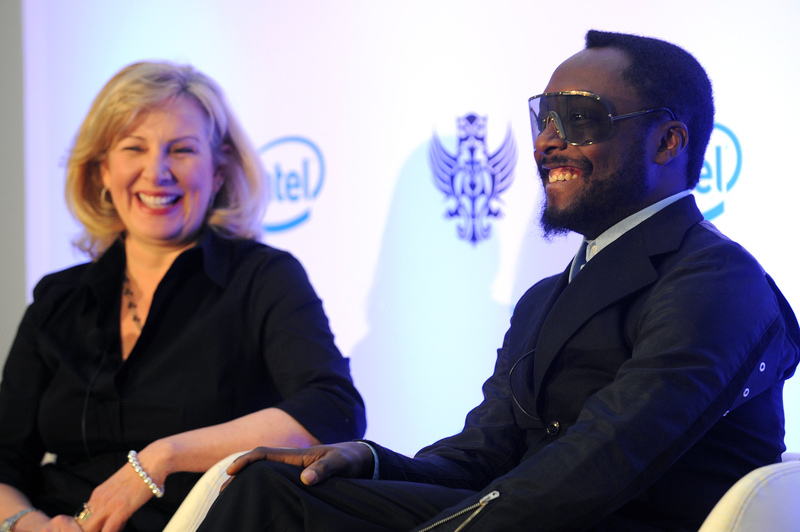 Complementing his visionary role as the front man for The Black Eyed Peas, will.i.am is also already working on music expressly for Intel.